As you can see in Nintend Wii and iPods, more devices are adopting intuitive interfaces like touchpanels and motion capturing today. These devices make it much easier for people to use otherwise complex devices. A device developed by Tokyo University team seems to go a step ahead of existing devices. 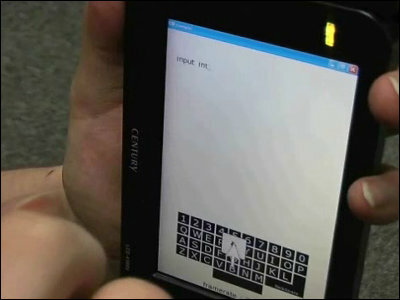 It can translate in-air movements of fingers to computer command, which enables you to use portable devices without even a touch. Read on for a movie of the working demo. According to the article, Prof. Masatoshi Ishikawa and Dr. Takashi Komuro of Tokyo University developed so-called "vision-based Input Interface". 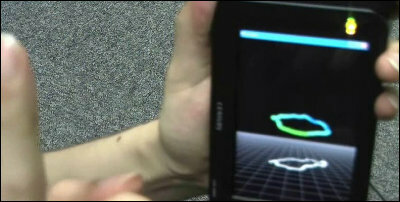 The device captures movement of five fingers by embedded camera and translates it to command. There are many existing gesture-input devices like the one we previously reported in a CEATEC 2009 article, or "sixthsense" device developed by MIT. Unlike these devices Tokyo Univ's device needs no surrounding optical sensors or fingertip markings for motion capturing. 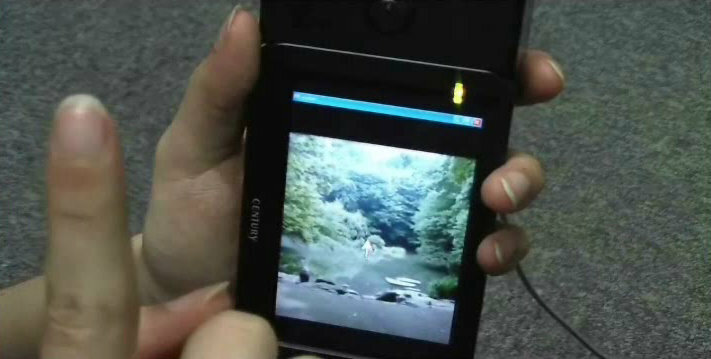 To catch finger movement, the device adopted 154 fps high-speed camera. Usually two lenses are used to detect 3D movement but customized softwares enables camera to detect them with only one lens. Ishikawa-Komuro Laboratory shows demo videos at their web page. Typing demo. 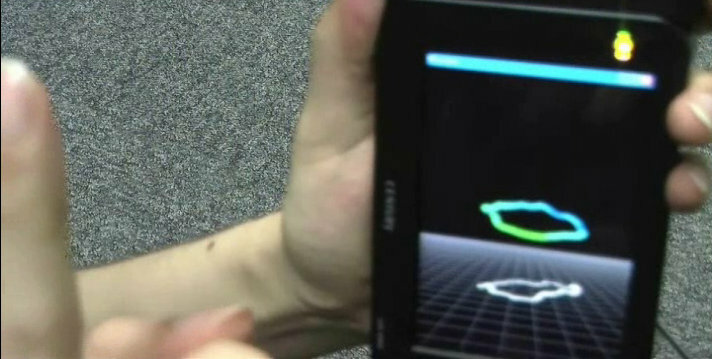 Notice that the device can capture back-and-forth movement. Scrolling without touching the screen. You can also limn 3D object in che screen.